In May 2015 I refinanced my house. Even though we had only had the loan for 5 years on a 30 year fixed, we had paid down the principle to the point were we only had 20 years to go. We went ahead and kept the loan term at 20 years, as we still wanted to be on the same timeline to pay it off. 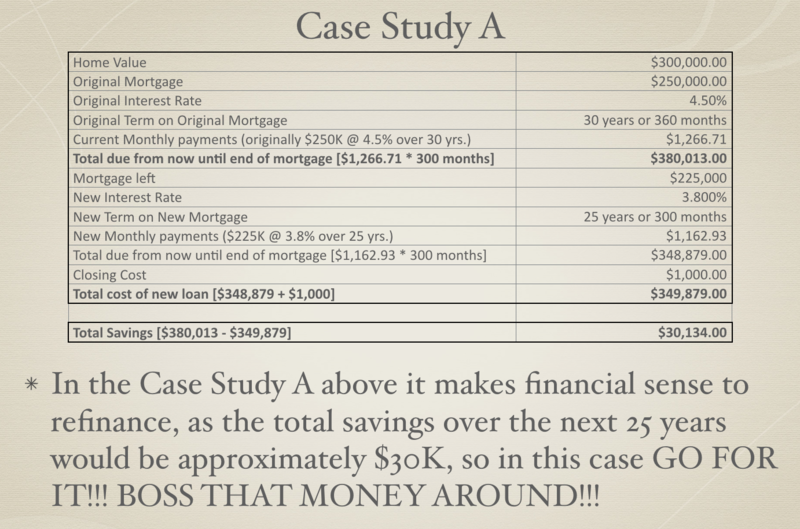 To refinance from 4.5% to 3.625% literally cost me nothing (I actually gained $30 on the loan repayment), and lowering our monthly mortgage payment from $963 to $885 resulted in monthly gain of $78. 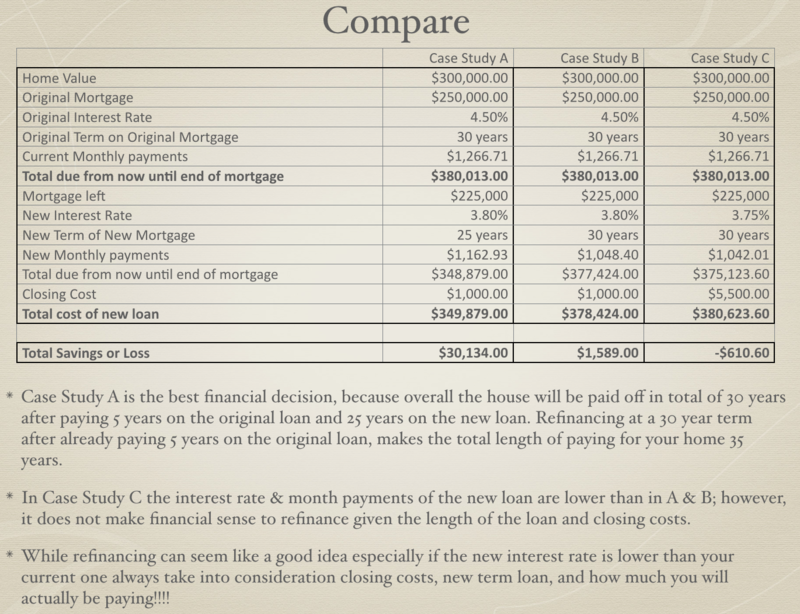 This also lowered how much overall interest needed to pay the loan. 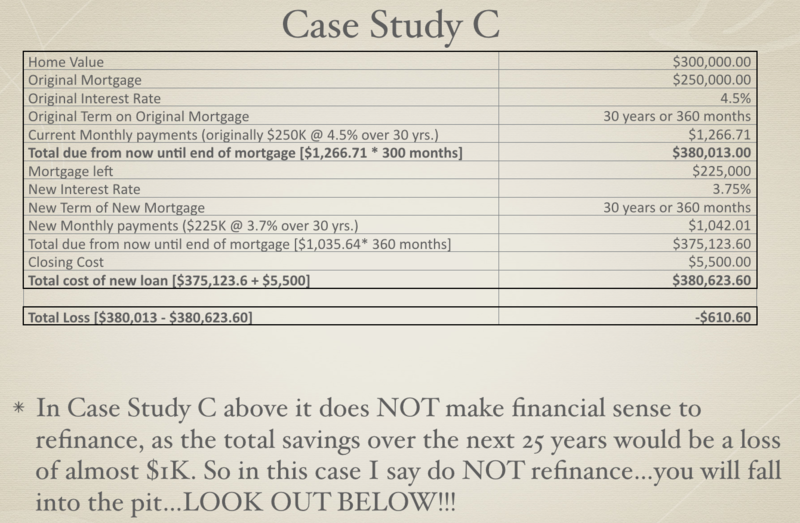 However, you always want to do the Math in advance to make sure that a refinance makes sense for you. 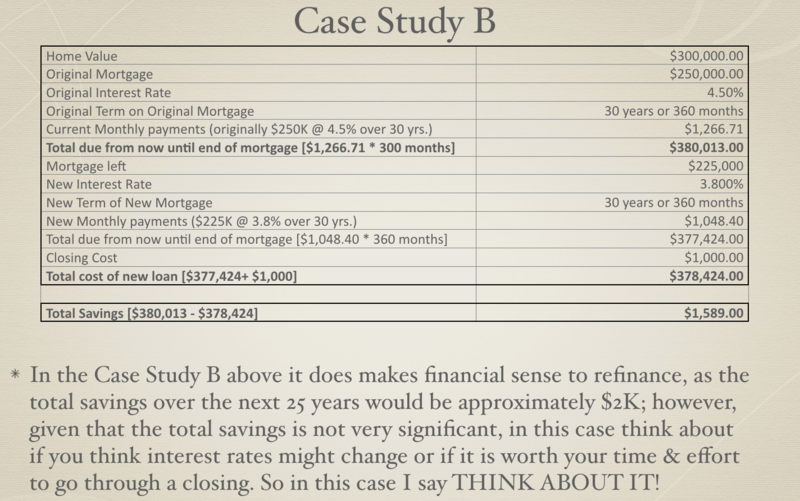 The following 3 Case Studies show that while DAZZLING low interest rates might look good, that is not all you need to watch out for!